As I’ve mentioned several times, the Loyola Kids Book of Bible Stories, published in 2017, presents Scripture to children and families in the way most Catholics encounter the Bible: through their placement in the liturgical year. The bulk of it, of course, is just a retelling of the Scripture. And then, after the narrative, I tie the Scripture into some aspect of Catholic faith and life – as you can see here, the role of the apostles in the Church, as well as the call to all of us to follow Christ. And each entry ends with a suggestion for thinking and conversation, as well as a prayer. Presenting the Bible to children is not a simple task. I really think that in this – as is the case with so much catechesis – it’s a good idea to trust the experience and presence of the Spirit in the Church and organize our Scriptural catechesis according in line with that experience: putting the Psalms at the center of our daily prayer life with children – instead of constantly inviting them to make up their own prayers, or offering them our weak, pedantic efforts – as well as letting our Scripture reading be guided by how the Church lives with God’s Word. Yes, the contemporary lectionary has flaws – including selective editing of passages that make modern people uncomfortable – so, yes, it’s good to start with what’s in the lectionary, but then turn right to the Bible itself to get the whole picture. But even with that weakness, it’s far more sensible to use Scripture – especially in catechesis and formation – according to the experience of the Body of Christ instead of presenting it as a handy personal guidebook to be cherry-picked according to my Feelings of the Day. Go here for more information on the Loyola series, including this book. Well, hey there. If you only visit on Fridays, check out the rest of my posts from this week – just click back. I commented on the Covington matter on Monday, and had some other posts as well. We heard a great performance of Carmina Burana, the 14-year old went to see Metallica, we went to an excellent new restaurant in town, I finally finished writing about The Hack…etc. Today’s the feast of the Conversion of Paul. As can be seen, in all these passages Paul never once interprets this moment as an event of conversion. Why? There are many hypotheses, but for me the reason is very clear. This turning point in his life, this transformation of his whole being was not the fruit of a psychological process, of a maturation or intellectual and moral development. Rather it came from the outside: it was not the fruit of his thought but of his encounter with Jesus Christ. In this sense it was not simply a conversion, a development of his “ego”, but rather a death and a resurrection for Paul himself. One existence died and another, new one was born with the Risen Christ. There is no other way in which to explain this renewal of Paul. None of the psychological analyses can clarify or solve the problem. This event alone, this powerful encounter with Christ, is the key to understanding what had happened: death and resurrection, renewal on the part of the One who had shown himself and had spoken to him. In this deeper sense we can and we must speak of conversion. This encounter is a real renewal that changed all his parameters. Now he could say that what had been essential and fundamental for him earlier had become “refuse” for him; it was no longer “gain” but loss, because henceforth the only thing that counted for him was life in Christ. The event is included in The Loyola Kids Book of Bible Stories and The Loyola Kids’ Book of Heroes. Of all the verbiage produced concerning the Covington Catholic story – such a ridiculous, insane moment – one of the best was in the Atlantic by Caitlin Flanagan. It’s excellent. But as the march edged its way toward Constitution Avenue, and the gaiety continued, I began to think that maybe this was not the best way to mark the gravity of this Holocaust of our time. I could see that the celebratory mood—celebratory of undoubted achievements of the American pro-life movement—was in a sense justified and essential to the continuing success of the event. But I also realized that the march has become more a celebration of pro-life energies than a commemoration of abortion victims. The unbroken atmosphere of joyousness begins to wear thin after a while. I have a proposal to make that I believe could alter the tone and mood of the march—in a way that might arrest a media and public mindset that simply glazes over as the march goes by. It may be time the march was transformed into a more somber confrontation of America’s doublethink in the face of the abortion apocalypse. This article from New York magazine about a young man who went through very, very early onset of puberty is at times difficult to read, and no, I don’t think the kind of fertility treatments mentioned are ethical, but that doesn’t mean I still can’t be inspired and encouraged by this story. Encouraged to see evidence that the truth about life and suffering, and accepting both still courses through our culture and in consciences – read to the end to see what I mean. It’s ultimately a story about being dealt a hand by nature and family (it’s a hereditary condition – the author’s father, grandfather and great-grandfather suffered from it), acknowledging it, understanding it as much as you’re able, accepting it – but not allowing it – whatever it is – to determine, dominate or control you. What you will read about was a man who made tremendous sacrifices to travel across the world, endure great hardship….to teach fisherman and little kids the Creed. Why did he do this? Why did he think it was worth his life? It seems, according to much of the current conversation in the air about how to spread the Good News which is not to be done by “proselytizing,” but rather by accompanying, that he was mistaken in his approach. Yes, the question of this encounter between Christian creed and various cultures is not uncomplicated. The question has rightly occupied Asian, African and European theologians for decades, and for literary shorthand versions, consider Black Robe and Silence. Missionaries were not infallible. They made mistakes, they allowed themselves to become compromised, they were short-sighted. All of that is true. Even so – and not dismissing those questions – the 21st century observer who is anxious to diminish the importance of the particulars of belief in favor of a purportedly more pastoral engagement – who seems to believe that Jesus is more authentically and powerfully offered and encountered without much concern for the doctrine, and indeed that the specific articulation of belief functions more often than not as an obstacle to encountering Christ (for this is the essence, really of much of the direction of the current conversation ) – has a responsibility, as a Catholic, to engage this question in the context of the whole of Catholic tradition, which includes a lot of people making tremendous sacrifices, not only to live out the corporeal works of mercy, but the spiritual works as well. Was Francis Xavier doing it wrong? What was the point – having the memorization of credal formulations and prayers, and baptism as the central focus of his missionary work? That model of “making them Christians” in this way…was it wrong? Well, to explore the question requires us to go beyond simplistic categories, and to ask interesting, serious questions about the deeper spiritual dynamic that is engaged by this process of – dare we say it – making disciples – the thinking behind it, and the cultural context. It would require us to look to the past and..wait for it…engage in..dialogue, to listen and be willing to learn. It might even require…humility. I and Francis Mancias are now living amongst the Christians of Comorin. They are very numerous, and increase largely every day. When I first came I asked them, if they knew anything about our Lord Jesus Christ? but when I came to the points of faith in detail and asked them what they thought of them, and what more they believed now than when they were Infidels, they only replied that they were Christians, but that as they are ignorant of Portuguese, they know nothing of the precepts and mysteries of our holy religion. We could not understand one another, as I spoke Castilian and they Malabar ; so I picked out the most intelligent and well read of them, and then sought out with the greatest diligence men who knew both languages.. We held meetings for several days, and by our joint efforts and with infinite difficulty we translated the Catechism into the Malabar tongue. This I learnt by heart, and then I began to go through all the villages of the coast, calling around me by the sound of a bell as many as I could, children and men. I assembled them twice a day and taught them the Christian doctrine : and thus, in the space of a month, the children had it well by heart. And all the time I kept telling them to go on teaching in their turn whatever they had learnt to their parents, family, and neighbours. Every Sunday I collected them all, men and women, boys and girls, in the church. They came, with great readiness and with a great desire for instruction. Then, in the hearing of all, I began by calling on the name of the most holy Trinity, Father, Son, and Holy Ghost, and I recited aloud the Lord’s Prayer, the Hail Mary, and the Creed in the language of the country: they all followed me in the same words, and delighted in it wonderfully. Then I repeated the Creed by myself, dwelling upon each article singly. Then I asked them as to each article, whether they believed it unhesitatingly ; and all, with a loud voice and their hands crossed over their breasts, professed aloud that they truly believed it. I take care to make them repeat the Creed oftener than the other prayers ; and I tell them that those who believe all that is contained therein are called Christians. After explaining the Creed I go on to the Commandments, teaching them that the Christian law is contained in those ten precepts, and that every one who observes them all faithfully is a good and true Christian and is certain of eternal salvation, and that, on the other hand, whoever neglects a single one of them is a bad Christian, and will be cast into hell unless he is truly penitent for his sin. Converts and heathen alike are astonished at all this, which shows them the holiness of the Christian law, its perfect consistency with itself, and its agreement with reason. After this I recite our principal prayers, as the Our Father and the Hail Mary, and they say them after me. Then we go back to the Creed, adding the Our Father and the Hail Mary after each article, with a short hymn; for, as soon as I have recited the first article, I sing in their language, “Jesus, Son of the living God, grant us the grace to believe firmly this first article of your faith : and that we may obtain this from you, we offer you this prayer taught us by yourself” Then we add this second invocation : “Holy Mary Mother of our Lord Jesus Christ, obtain for us from your most sweet Son that we may believe without hesitation this article of the Christian faith” We do the same after all the other eleven articles. We teach them the Commandments in the following way. After we have sung the first, which enjoins the love of God, we pray thus : ” Jesus Christ, Son of the living God, grant us the grace to love Thee above all things” and then we say for this intention the Lord’s Prayer. Then we all sing together, ‘”Holy Mary, Mother of Jesus Christ, obtain for us from your Son the grace to observe perfectly the first of His Commandments” and then we say the Hail Mary. So we go on through the other nine, changing the words of our little invocation as occasion requires. Thus I accustom them to ask for these graces with the ordinary prayers of the Church, and I tell them at the same time that if they obtain them, they will have all other things that they can wish for more abundantly than they would be able to ask for them. I make them all, and particularly those who are to be baptized, repeat the form of general confession. These last I question after each article of the Creed as it is recited, whether they believe it firmly ; and after they have answered yes, I give them an instruction in their own language explaining the chief heads of the Christian religion, and the duties necessary to salvation. Last of all, I admit them thus prepared to baptism. The instruction is ended by the Salve Regina, begging the aid and help of our Blessed Lady. As to the numbers who become Christians, you may understand them from this, that it often happens to me to be hardly able to use my hands from the fatigue of baptizing : often in a single day I have baptized whole villages. Sometimes I have lost my voice and strength altogether with repeating again and again the Credo and the other forms. The fruit that is reaped by the baptism of infants, as well as by the instruction of children and others, is quite incredible. These children, I trust heartily, by the grace of God, will be much better than their fathers. They show an ardent love for the Divine law, and an extraordinary zeal for learning our holy religion and imparting it to others. Their hatred for idolatry is marvellous. They get into feuds with the heathen about it, and whenever their own parents practise it, they reproach them and come off to tell me at once. Whenever I hear of any act of idolatrous worship, I go to the place with a large band of these children, who very soon load the devil with a greater amount of insult and abuse than he has lately received of honour and worship from their parents, relations, and acquaintances. The children run at the idols, upset them, dash them down, break them to pieces, spit on them, trample on them, kick them about, and in short heap on them every possible outrage. I had been living for nearly four months in a Christian village, occupied in translating the Catechism. A great number of natives came from all parts to entreat me to take the trouble to go to their houses and call on God by the bedsides of their sick relatives. Such numbers also of sick made their own way to us, that I had enough to do to read a Gospel over each of them. At the same time we kept on with our daily work, instructing the children, baptizing converts, translating the Catechism, answering difficulties, and burying the dead. For my part I desired to satisfy all, both the sick who came to me themselves, and those who came to beg on the part of others, lest if I did not, their confidence in, and zeal for, our holy religion should relax, and I thought it wrong not to do what I could in answer to their prayers. But the thing grew to such a pitch that it was impossible for me myself to satisfy all, and at the same time to avoid their quarrelling among themselves, every one striving to be the first to get me to his own house ; so I hit on a way of serving all at once. As I could not go myself, I sent round children whom I could trust in my place. Tliuey went to the sick persons, assembled their families and neighbours, recited the Creed with them, and encouraged the sufferers to conceive a certain and wellfounded confidence of their restoration. Then after all this, they recited the prayers of the Church. To make my tale short, God was moved by the faith and piety of these children and of the others, and restored to a great number of sick persons health both of body and soul. How good He was to them ! He made the very disease of their bodies the occasion of calling them to salvation, and drew them to the Christian faith almost by force ! I have also charged these children to teach the rudiments of Christian doctrine to the ignorant in private houses, in the streets, and the crossways. As soon as I see that this has been well started in one village, I go on to another and give the same instructions and the same commission to the children, and go I go through in order the whole number of their villages. When I have done this and am going away, I leave in each place a copy of the Christian doctrine, and tell ail those who know how to write to copy it out, and all the others are to learn it by heart and to recite it from memory every day. Every feast day I bid them meet in one place and sing all together the elements of the faith. For this purpose I have appointed in each of the thirty Christian villages men of intelligence and character who are to preside over these meetings, and the Governor, Don Martin Alfonso, who is so full of love for our Society and of zeal for religion, has been good enough at our request to allot a yearly revenue of 4000 gold fanams for the salary of these catechists. He has an immense friendship for ours, and desires with all his heart that some of them should be sent hither, for which he is always asking in his letters to the King. Just a couple few pages from recent books, offered in the hope that they will help the children in your life experience Advent in a deeper way. First, remember that my Loyola Kids Book of Bible Stories is organized according to the liturgical year. The stories retold for Advent include “Prophets Say That a Messiah is Coming,” “Prophets Describe the Messiah,” “Zechariah Meets the Angel Gabriel” and so on. The first reading today refers to the Messiah, the Branch grown for David. In The Loyola Kids Book of Signs and Symbols, I cover the Jesse Tree – the traditional artistic rendering of this concept. Note how it’s organized – and this the organization of the entire book. On the left side for every entry is a short, simple explanation for younger children. On the right is a more in-depth entry for older students. Please consider sharing these books with your local Catholic parish and school classrooms – every classroom should have a set! For more Advent resources, go here. And for a rich representation of the Tree of Jesse and more historical background, visit Daniel Matsui. Heading out for the long weekend, but the weather indicates that rain is going to be a feature of our location, so here’s hoping I do more than sit on a runway on Saturday. As per usual, check Instagram, especially stories, for updates. I’ve blogged almost every day this past week about one thing or another, so just click backwards for some more of this kind of thing if you like. In particular, you might be interested in yesterday’s posts on St. Francis of Assisi. Today’s the feastday of St. Faustina, who’s in the Loyola Kids Book of Heroes. Every other day or so I offer a digest of what I’m reading, watching, listening to and so on. I’ve not read any books since yesterday, but I did read this article – which you should be able to access if you’re interested – on the collapse of early 19th century religious orders in Peru. For many years, the sudden collapse of the major religious orders in Peru shortly after independence has interested this author. For the religious orders, Lima had been what it was for the viceroy: the center of the organizational structure for most of the continent with the stately conventos and lavishly endowed churches to attest to the importance of that position. Yet, within a relatively short period, 1826-1830, the grandeur faded and the power disappeared. Why? And even if you’re not interested…I’ll tell you what interested me. First the tone of the article – published in 1982 and written by Antonine Tibesar, a Franciscan friar and historian – deeply scholarly, but refreshing in its (not surprising) deep understanding of religious life from the inside. Secondly – well, the history – a good thing, since it’s an article about history. What Tibesar is asking is just what the title suggests: in the early 19th century, religious orders collapsed in Peru. Why? Well, the simple and obvious answer is that the Spanish government had been sporadically, but intensely determined to secularize religious orders (that is put the orders out of business and require any man or woman who sought to remain a priest or nun to prove they had a means of support and place themselves under the control of a bishop) and that drive made its way over to the newly independent Peru. There were other shenanigans, which I can’t quite parse out, perhaps because I’m tired. But in the end, Tibesar blames other religious as much as he does the secular governments for the capitulation. And I only go on as long as I have about this as a reminder of the complexities of religious history: that if Catholicism is struggling in Europe and South America – well, it has been struggling, off and on, in often profound ways – for centuries. A couple of local churchish notes. First, the rector of our Cathedral has made available a booklet he’s put together about baptism in the Extraordinary Form – which is happening more and more down here. You might find it interesting and useful. Secondly, the Church in Russellville, Alabama is experience tremendous growth, people-wise, and needs a building to match. Here’s more at our rector’s blog about it, plus a video about the parish. The Servant of God Fulton J. Sheen made a great deal of money through his work on television and the talks and special media appearances he did besides. But one of the (surprising?) things we discover upon studying his life is that not only did he donate most of his earnings to the missions, but he also used some of his funds to build churches in poor areas — including in the South. There are churches in Alabama that were built by Archbishop Sheen! In spite of the celebrity he enjoyed, he lived rather frugally and was quite generous where it mattered the most. I am not aware of a Fulton Sheen-like person who might help with this current project and great need, but it is similar in scope. In the small town of Russellville, Alabama(pop. approx. 10,000), there is the parish of the Good Shepherd. Or as many of its parishioners know it — “Buen Pastor”. The town has a large population of Hispanic immigrants, many of whom work in the area chicken processing plants (maybe in the past you’ve eaten some chicken that met its fate in Russellville!). In the past, the church was built with great support from Filipino immigrants. With some exceptions, the Catholic population in Russellville has long had a large immigrant component. The current church seats 200. Each Sunday, Fr. Vincent Bresowar, its pastor, has to put out chairs wherever he can find the space. Under his good leadership the parish has grown. But he is only one priest: he could add more Masses to accommodate the growing community, but priests are only supposed to say so many Masses per day (basically, two Monday-Saturday and three on Sunday, max). Fr. Bresowar routinely has to go over the “legal limit” to accommodate his community. He generously does so — but celebrating so many Masses wears down a priest. I know this from experience. What they need in Russellville is a new and larger church. Fr. Bresowar has purchased an adjacent property to ensure sufficient space for the new church and a real parking lot that begins to accommodate the crowds. He has had a local architect design a building that actually looks like a church and he has employed a great consultant to help with the interior decoration. Cutting every possible corner while also recognizing that a church building is built first of all for the glory of God, Fr. Bresowar has come up with a plan that will cost in the ballpark of $2.5 million. Bishop Robert J. Baker, in consultation with the College of Consultors of the Diocese of Birmingham, has approved a Capital Campaign so that Fr. Bresowar and parishioners may begin in earnest to raise the needed funds. Remember: this is a primarily immigrant community. They are very resourceful people and will do their part. But they are not pulling in large salaries. They are open to life and have numerous families. They are often helping their families in their home countries, who live in destitution. Some of them will be able to give “in-kind”, helping with the construction and finishing. They will host many fundraisers. But in the end, we need to go outside this community to raise the money needed. There is a strange thread of connection between all of these items. I’m not sure what it is, exactly…. From The Loyola Kids Book of Signs and Symbols. My kids know all about St. Jerome because we frequent art museums, and St. Jerome is a very popular subject. I don’t think you can hit a museum with even the most meager medieval or renaissance collection and not encounter him. 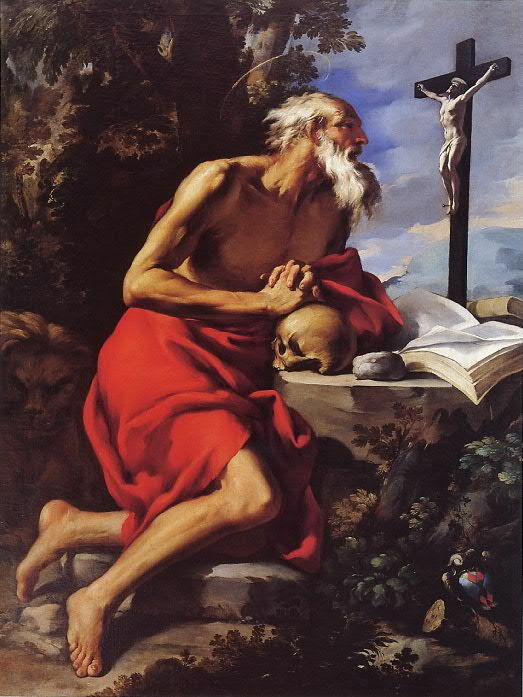 And since the way I have engaged my kids in museums since forever – besides pointing out gory things – is to do “guess the saint” and “guess the Bible story” games -yes, they can recognize a wizened half-naked skull-and-lion accompanied St. Jerome from two galleries away. Margaret Hodge’s version with paintings by Barry Moser is..OUT OF PRINT?! Well, thank goodness we have a copy, and hey, publishers…somebody pick this up and bring it back into print. Free advice, no charge. Not surprisingly, Rumer Godden’s version is also out of print. Oh well…maybe you can find them at the library? Again…Catholic publishers..get on this! What can we learn from St Jerome? It seems to me, this above all; to love the Word of God in Sacred Scripture. St Jerome said: “Ignorance of the Scriptures is ignorance of Christ”. It is therefore important that every Christian live in contact and in personal dialogue with the Word of God given to us in Sacred Scripture. This dialogue with Scripture must always have two dimensions: on the one hand, it must be a truly personal dialogue because God speaks with each one of us through Sacred Scripture and it has a message for each one. We must not read Sacred Scripture as a word of the past but as the Word of God that is also addressed to us, and we must try to understand what it is that the Lord wants to tell us. However, to avoid falling into individualism, we must bear in mind that the Word of God has been given to us precisely in order to build communion and to join forces in the truth on our journey towards God. Thus, although it is always a personal Word, it is also a Word that builds community, that builds the Church. We must therefore read it in communion with the living Church. The privileged place for reading and listening to the Word of God is the liturgy, in which, celebrating the Word and making Christ’s Body present in the Sacrament, we actualize the Word in our lives and make it present among us. We must never forget that the Word of God transcends time. Human opinions come andgo. What is very modern today will be very antiquated tomorrow. On the other hand, the Word of God is the Word of eternal life, it bears within it eternity and is valid for ever. By carrying the Word of God within us, we therefore carry within us eternity, eternal life. Truly “in love” with the Word of God, he asked himself: “How could one live without the knowledge of Scripture, through which one learns to know Christ himself, who is the life of believers?” (Ep. 30, 7). The Bible, an instrument “by which God speaks every day to the faithful” (Ep. 133, 13), thus becomes a stimulus and source of Christian life for all situations and for each person. To read Scripture is to converse with God: “If you pray”, he writes to a young Roman noblewoman, “you speak with the Spouse; if you read, it is he who speaks to you” (Ep. 22, 25). The study of and meditation on Scripture renders man wise and serene (cf. In Eph.,Prol.). Certainly, to penetrate the Word of God ever more profoundly, a constant and progressive application is needed. Hence, Jerome recommends to the priest Nepotian: “Read the divine Scriptures frequently; rather, may your hands never set the Holy Book down. Learn here what you must teach” (Ep. 52, 7). To the Roman matron Leta he gave this counsel for the Christian education of her daughter: “Ensure that each day she studies some Scripture passage…. After prayer, reading should follow, and after reading, prayer…. Instead of jewels and silk clothing, may she love the divine Books” (Ep. 107, 9, 12). Through meditation on and knowledge of the Scriptures, one “maintains the equilibrium of the soul” (Ad Eph., Prol.). Only a profound spirit of prayer and the Holy Spirit’s help can introduce us to understanding the Bible: “In the interpretation of Sacred Scripture we always need the help of the Holy Spirit” (In Mich. 1, 1, 10, 15). A passionate love for Scripture therefore pervaded Jerome’s whole life, a love that he always sought to deepen in the faithful, too. He recommends to one of his spiritual daughters: “Love Sacred Scripture and wisdom will love you; love it tenderly, and it will protect you; honour it and you will receive its caresses. May it be for you as your necklaces and your earrings” (Ep. 130, 20). And again: “Love the science of Scripture, and you will not love the vices of the flesh” (Ep. 125, 11). For Jerome, a fundamental criterion of the method for interpreting the Scriptures was harmony with the Church’s Magisterium. We should never read Scripture alone because we meet too many closed doors and could easily slip into error. The Bible has been written by the People of God and for the People of God under the inspiration of the Holy Spirit. Only in this communion with the People of God do we truly enter into the “we”, into the nucleus of the truth that God himself wants to tell us. For him, an authentic interpretation of the Bible must always be in harmonious accord with the faith of the Catholic Church. It is not a question of an exegesis imposed on this Book from without; the Book is really the voice of the pilgrim People of God and only in the faith of this People are we “correctly attuned” to understand Sacred Scripture. Finally, Pope Benedict XV wrote an encyclical about St. Jerome on the 1500th anniversary of his death, and in it declared him the patron of all who study Sacred Scripture. You can read it here. What words can serve to describe to you the Savior’s cave? As for the manger in which He lay – well, our silence does it more honor than any poor words of ours. . . Will the day ever dawn where we can enter His cave to weep at His tomb with the sister (of Lazarus) and mourn with His Mother; when we can kiss the wood of His Cross and, with the ascending Lord on Olivet, be uplifted in mind and spirit? There is another quality of St. Jerome’s character that will console many of us who struggle to be virtuous and holy, a quality which surprises many whose image of sanctity lacks a sense of how Christ’s holiness transforms human character. Jerome was known for being a cantankerous fellow. He struggled at times with the virtue of patience, could be overbearing with those who disagreed with him, and had a reputation for being cranky. One commentator on Saint Jerome’s life noted that perhaps Jerome chose to be a hermit, not so much as a heroic act of sacrifice, but because had he not lived alone, he most assuredly would not have been a saint! The spiritual lesson for us in this might be to remember that saints are not born with perfect characters and that even the holiest among us has become that way over time. This means that saints have shared with us all the qualities and weaknesses that vex us. However, flaws in character did not assuage them from seeking to know Christ and to live in such a way that their relationship with him was evident in their way of life. Therefore we should never believe that our weaknesses be justified as an excuse that exempts us from living as disciples of the Lord Jesus. The saints know their weaknesses and can readily admit them, but they also accept them as opportunities to for conversion and humility. She was, after the Blessed Virgin herself, the most widely-venerated saint of the Medieval period, and July 22 is her feast day. Yes, it’s a Sunday – so we don’t celebrate it. But we’ll celebrate anyway. We should reflect on Mary’s attitude and the great love she felt for Christ; for though the disciples had left the tomb, she remained. She was still seeking the one she had not found, and while she sought she wept; burning with the fire of love, she longed for him who she thought had been taken away. And so it happened that the woman who stayed behind to seek Christ was the only one to see him. For perseverance is essential to any good deed, as the voice of truth tells us: Whoever perseveres to the end will be saved. At first she sought but did not find, but when she persevered it happened that she found what she was looking for. When our desires are not satisfied, they grow stronger, and becoming stronger they take hold of their object. Holy desires likewise grow with anticipation, and if they do not grow they are not really desires. Anyone who succeeds in attaining the truth has burned with such a great love. As David says: My soul has thirsted for the living God; when shall I come and appear before the face of God? And so also in the Song of Songs the Church says: I was wounded by love; and again: My soul is melted with love. Woman, why are you weeping? Whom do you seek? She is asked why she is sorrowing so that her desire might be strengthened; for when she mentions whom she is seeking, her love is kindled all the more ardently. Jesus says to her: Mary. Jesus is not recognised when he calls her “woman”; so he calls her by name, as though he were saying: Recognise me as I recognise you; for I do not know you as I know others; I know you as yourself. And so Mary, once addressed by name, recognises who is speaking. She immediately calls him rabboni, that is to say, teacher,because the one whom she sought outwardly was the one who inwardly taught her to keep on searching. I wrote a book about St. Mary Magdalene, rather horrendously titled De-Coding Mary Magdalene (an allusion to the previous DVC-related book…I argued against it, but…lost)…but I did enjoy researching and writing the book – the history of MM’s cultus is quite revealing about both Western and Eastern Christianity. The Da Vinci Code moment has mercifully past, but I hope St. Mary Magdalene’s hasn’t. Our Sunday Visitor took the book out of print, but I’ve republished it in digital form under the title Mary Magdalene: Truth, Legends and Lies. You can purchase it for .99 here. Over the past week, I’ve excerpted portions of the book. Scroll back to see those excerpts. Here’s a link to an audio interview I did with Kris McGregor on the book. Here’s a brief article I wrote for the Busted Halo website on Mary Magdalene. And here is an excerpt of an excerpt from the book that is (still) at the OSV website. Mary Magdalene was an enormously important figure in early Christianity. She was, after the Blessed Virgin Mary, the most popular saint of the Middle Ages. Her cultus reveals much about medieval views of women, sexuality, sin, and repentance. Today, Mary Magdalene is experiencing a renaissance, not so much from within institutional Christianity, but among people, mostly women, some Christian, many not, who have adopted her as an inspiration and patron of their own spiritual fads, paths, and fantasies. Mary Magdalene is the patron saint of contemplatives, converts, pharmacists, glove makers, hairdressers, penitent sinners, perfumers, sexual temptation, and women. This book is a very basic introduction to the facts and the fiction surrounding Mary Magdalene. We’ll unpack what Scripture has to say about her identity and role in apostolic Christianity. We’ll see how, very soon after that apostolic era, she was adopted by a movement that remade her image in support of its own theological agenda, a dynamic we see uncannily and, without irony, repeated today. We’ll look at the ways in which both Western and Eastern Christianity have described, honored, and been inspired by her, and how their stories about her have diverged. During the Middle Ages in the West, Mary Magdalene’s story functioned most of all as a way to teach Christians about sin and forgiveness: how to be penitent, and with the hope of redemption open to all. She made frequent appearances in religious art, writing, and drama. She inspired many to help women and girls who had turned to prostitution or were simply destitute. She inspired Franciscans and Dominicans in their efforts to preach reform and repentance. It all sounds very positive, and most of it, indeed, is. That’s not, however, the idea we get from some contemporary commentators on Mary Magdalene’s historical image. Many of you might have had your interest in the Magdalene piqued by the novel The Da Vinci Code, by Dan Brown. In that novel, Brown, picking up on strains bubbling through pop culture and pseudo-historical writings of the past fifteen years or so, presents a completely different Mary Magdalene than the woman we meet in the Gospels and traditional Christian piety. She was, according to Brown, Jesus’ real choice to lead his movement; a herald of Jesus’ message of the unity of the masculine and feminine aspects of reality; a valiant and revered leader opposed by another faction of Jesus’ apostles led by Peter; the mother of Jesus’ child; and in the end, some sort of divine figure herself. Mary Magdalene is no less than the Holy Grail herself, bearing the “blood” of Jesus in the form of his child. A glorious figure, indeed, was this Mary Magdalene, but one that a patriarchal church could not permit to flourish. So, the story goes, a new image of Mary was created: that of the penitent prostitute. This Mary Magdalene, degraded and demeaned, was the tool of a conspiracy to degrade and demean women in general, and to bury the “truth” of Mary Magdalene’s leadership in early Christianity once and for all. The Magdalene-Spouse-Queen-Goddess-Holy-Grail theories are not serious history, so, frankly, we are not going to bother with them until the final chapter, and then only briefly. What we will be looking at — the history of the person and the imagery of Mary Magdalene — is daunting, rich, and fascinating enough. The contemporary scholarship on Mary (and, indeed, on much of the history of Christian spirituality and religious practices) is growing so fast and is so rich that all I can do here is simply provide an introduction. 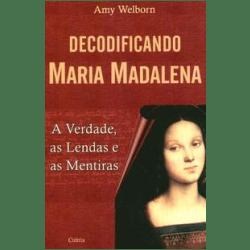 A thorough, objective introduction, I hope, but the fact is that the burgeoning scholarship on Mary Magdalene is quite vast, and much of it, particularly that dealing with the medieval period, is not yet available in English. I have provided an annotated bibliography at the end of this book for those readers interested in pursuing this subject in more depth. Our brief survey will undoubtedly be revealing, as we rediscover how deeply Mary Magdalene has been revered, used, and yes, misused and misunderstood by Christians over the centuries. The story, I hope, will be provocative in the best sense. For the fact is, the greatest interest in Mary Magdalene in the West today comes from those outside of or only nominally attached to the great course of traditional apostolic Christianity. Roman Catholics, in particular, seem to have lost interest in her, as, it must be admitted, they have in most saints. Lots of people are listening to a Magdalene of their own making, a figure with only the most tentative connection to the St. Mary Magdalene of centuries of traditional Christian witness. May the story recounted in the book play a part in reclaiming Mary Magdalene, so that we may hear her speak clearly again, as she does in the Gospels: for Jesus Christ, her Risen Lord. The story of Mary of Magdala reminds us all of a fundamental truth: a disciple of Christ is one who, in the experience of human weakness, has had the humility to ask for his help, has been healed by him and has set out following closely after him, becoming a witness of the power of his merciful love that is stronger than sin and death.